Lazib Inn Resort & Spa, a newly opened boutique hotel situated in Fayoum, has recently worked with both Abakus and addaJet to launch their online portal. Abakus worked closely with the team in order to design and develop an online portal which promotes their persona, while addaJet has worked with Lazib Inn to integrate and launch its booking engine. 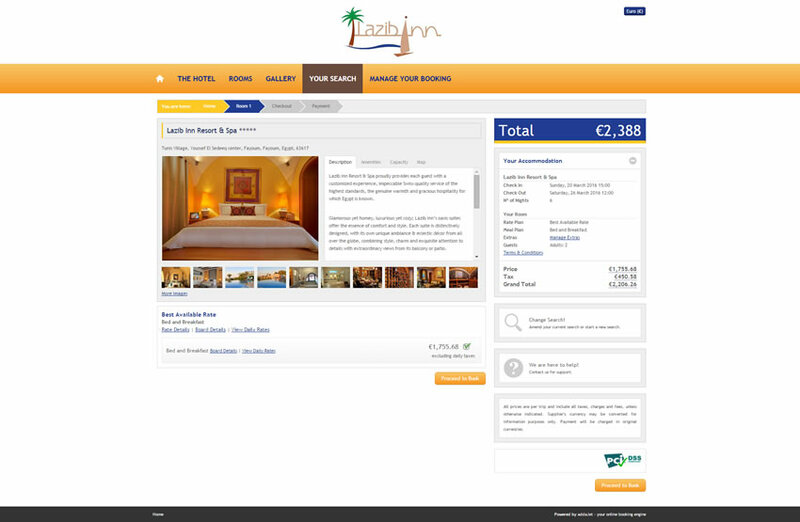 The ultimate aim being to increase the direct online conversion of the hotel.